Friday, December 14, 1962, while The Beatles were recording their first No. 1 hit, “Please, Please Me,” 36 million miles away data is coming back to Earth, sent from the Mariner 2 spacecraft, which comes within range of Venus. At that time, a young scientist named Carl Sagan has a theory: the runaway greenhouse effect on Venus is created by the high concentration of carbon dioxide leading to extremely high temperatures at the surface. The 447-ppound spacecraft carried seven scientific instruments weighing 49 pounds to study Venus’ atmosphere and temperature, search for a possible magnetic field,to study cosmic rays, the solar wind and cosmic dust during the trip to the planet. Mariner 2 sent data back to Earth at the then-blistering rate of 8-1/3 bits per second. The spacecraft passed within 21,564 miles of Venus, and continued on in solar orbit, sending back the data it had collected, on December 14. A year before, in May 1961, President John F. Kennedy made his famous speech committing to land an astronaut on the moon by the end of the decade. 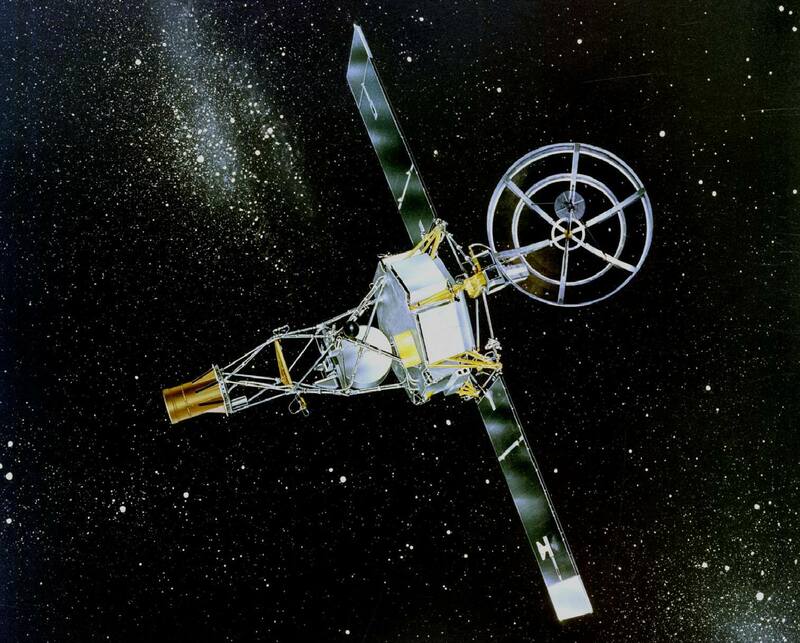 Mariner 2 found that Venus has no appreciable magnetic field and therefore no protective trapped radiation belts, the temperature at Venus’ surface being 300oF to 400oF, confirming Sagan’s greenhouse effect prediction. The atmospheric pressure is 20 times greater than on Earth, the planet being constantly bombarded by cosmic rays. 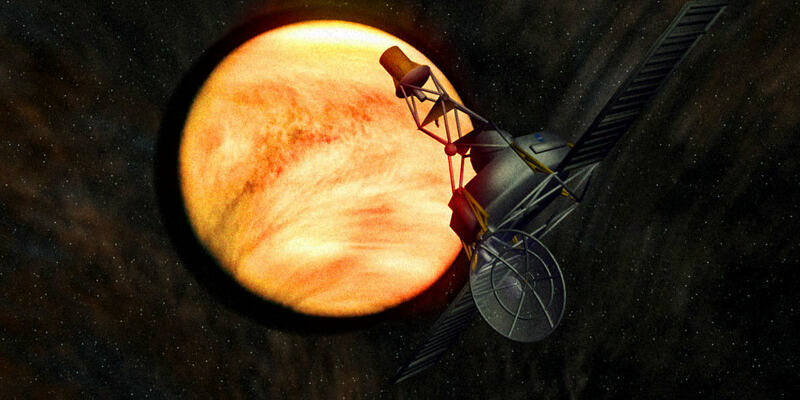 “There will be other missions to Venus, but there will never be another first mission to Venus,” said Jack James (November 22, 1920 – August 7, 2001), Project Manager at JPL at that time.